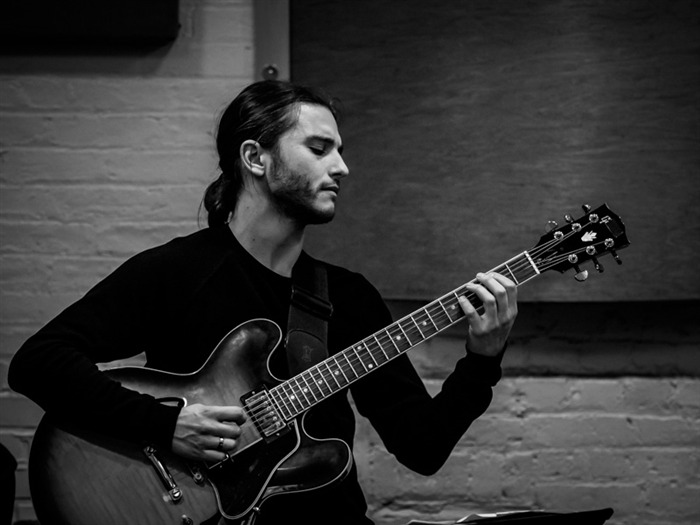 Álvaro Domene, originally from Madrid, is a New York based guitarist and composer operating at the convergence of various styles of contemporary creative music. His sound and compositions are influenced by the avant-garde jazz and modern classical traditions, as well as heavy musics. Tonight he will be joined by Bay Area stalwarts Scott Amendola (percussion) and Henry Kaiser (guitar). Grammy winner Henry Kaiser is widely recognized as one of the most creative and innovative guitarists and producers in the fields of rock, jazz, world, and contemporary experimental musics. He has appeared on more than 250 different albums and contributed to countless television and film soundtracks. For Scott Amendola, the drum kit isn't so much an instrument as a musical portal. An ambitious composer, savvy bandleader and capaciously creative foil for some of the world's most inventive musicians, Amendola applies his rhythmic virtuosity to a vast array of settings. Domene normally plays a seven-string guitar. I'm not sure how many strings Henry will bring, but I'm pretty sure Scott doesn't use them. Act now! Collect the whole set!